Northrop Grumman’s Battlefield Airborne Communications Node (BACN) has been one of the Defense Department’s most enduring capabilities, delivering interoperable voice and data communications between boots on the ground and pilots in the sky since 2008. As BACN enters its second decade of near-24/7 service to U.S. and coalition warfighters, the program continues to achieve significant milestones as it evolves to an even more powerful warfighting tool. 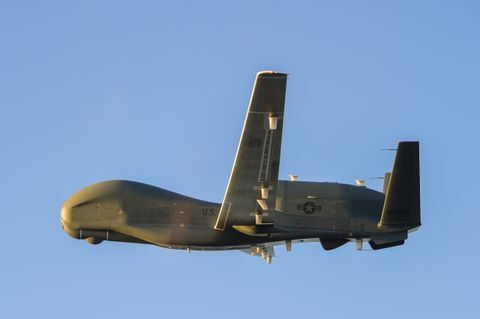 On April 3, Northrop Grumman delivered a new BACN-equipped Global Hawk to the fleet. In recent months, the BACN team also has been standing up new BACN field sites, helping the U.S. Air Force set new BACN mission flight records, and improving software to provide more resilient communications for BACN, the system that offers critical voice bridging and data-forwarding capabilities to U.S. and coalition forces in challenging terrain. “BACN continues to prove that it is essential to our warfighters,” said Jeannie Hilger, vice president of Northrop Grumman’s communications business. The BACN system consists of an airborne payload of equipment and processors that accomplishes three goals: it extends line-of-sight communications, it translates communications between equipment that speaks different “languages,” and it provides a common battle picture for commanders, ground forces, fighter jets and other mission assets. The latest delivery of a BACN-equipped EQ-4B to the Air Force increases the BACN EQ-4B fleet to provide additional communications orbit coverage and to ensure coverage in the event of unplanned aircraft maintenance, Hilger said. The EQ-4Bs, along with four E-11A executive jets, provide near-24/7 coverage in several critical theaters of operation. In February, another major milestone was reached as an EQ-4B in the BACN Global Hawk fleet touched down from an operational mission after exceeding 20,000 flight hours. 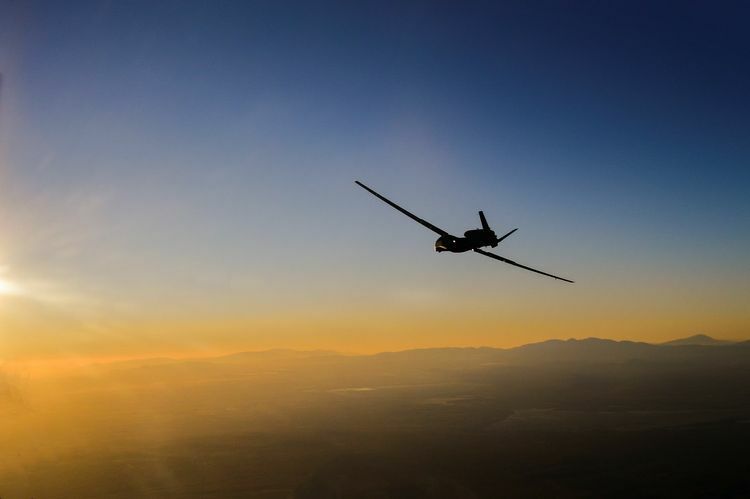 This accomplishment is significant in that it represents the most hours flown by any aircraft in the Global Hawk fleet — exceeding the original expected life span of the aircraft — and Air Force pilots said they looked forward to flying the aircraft 20,000 more. The glassy air at the high cruising altitude of the EQ-4B, along with the smooth autonomous landings of the craft, give EQ-4B airframes a long structural life, enabling BACN missions to fly well into the future. In San Diego, Northrop Grumman engineers are developing improvements to further harden the BACN system against interference, update compliance to the latest military standards, and add new capabilities. The company is standing up new field sites overseas and demobilizing others as the military moves to meet evolving threats and changing priorities and missions. The effort requires significant planning, site surveying, and logistics coordination to get the right equipment to the right place at the right time. For 10 years, Northrop Grumman’s BACN system has provided lifesaving connectivity, giving near-continuous communication services to our warfighters in multiple theaters. 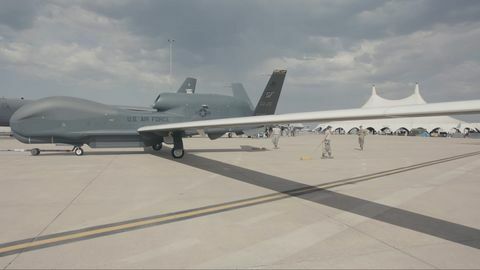 With the delivery of an additional BACN-equipped Global Hawk, the development of vital new capabilities, and a deployed operations team ensuring exceptional system availability, BACN is poised to continue its critical role in delivering effective battlefield communications for decades to come.